Wiggletype presents Pocket, a bold handmade, animated typeface created by illustrator Emilio Santoyo. Each and every character was hand illustrated by this guy. Emilio lives and works in California as a freelance illustrator/ designer/ professional human. His work reflects the color and lifestyle of California. Emilio's whimsical illustrations exude rhythm, beauty, and heart. Pocket is designed to be used as a bold display typeface. It has huge diagonal drops that look great when stacked on top of one another. Simply drag and drop each character into your After Effects composition to create your animation. Add fills, apply effects, distort... go to town. Here’s a quick-start tutorial that shows you how easy it is to start using WiggleType. Click here to download a sample word ("YES") to test out. You'll also get four (completely random) emojis straight from the mind of Emilio. We're wondering what was on his mind when he drew these. We’re accustomed to working at high resolutions for our film title sequence work, so Pocket was scanned and prepped at a high resolution. The uppercase characters (with drop shadows) are approximately 1180 pixels in height. 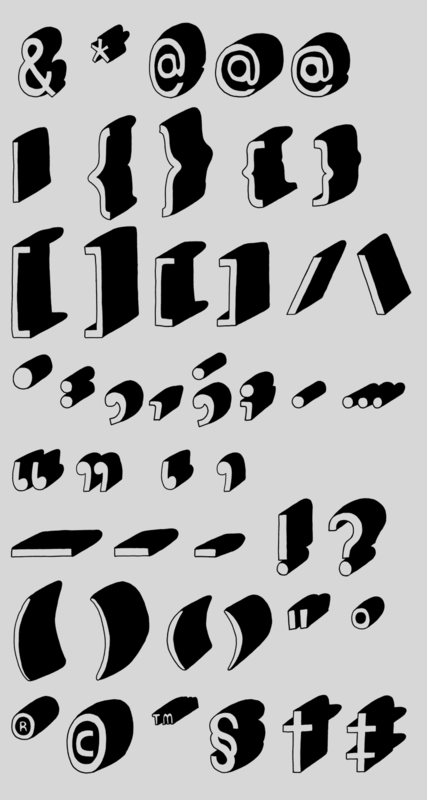 Click here to download a full resolution sample character. Our first release of Pocket includes a generous character set that includes punctuations, symbols and a few bonus emojis. We are planning to eventually release an international version. Before you purchase WiggleType, we highly recommend watching our quick-start tutorial about how to use it. You can test out Pocket by downloading this sample word ("YES"). The duration of each Quicktime clip is 6 seconds. If you need it to be longer, simply apply a loop to the footage using the “interpret footage” menu in AE.